Friends, Romans, PLN, lend me your ears/eyes! 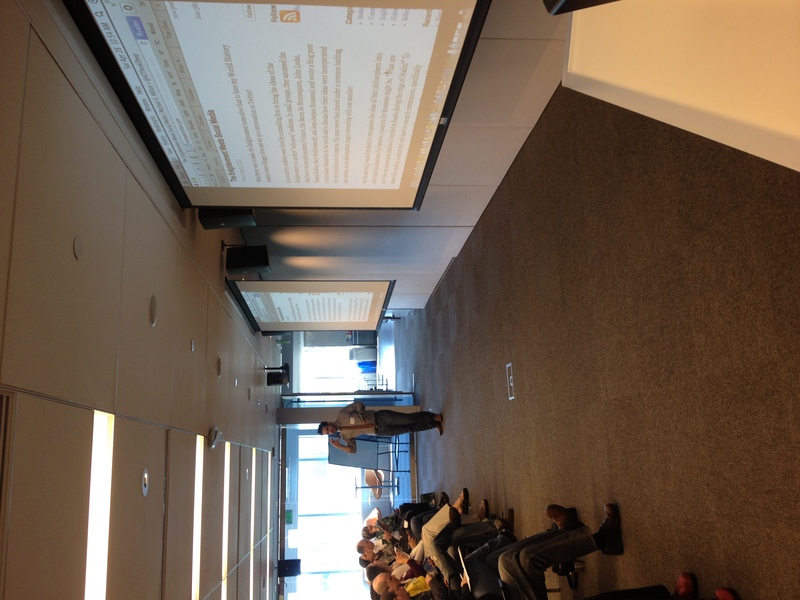 On Saturday, Andy Marcinek and I led a discussion on the use of Social Media in the Classroom at EdCamp Boston. Andy masterfully worked the room giving reasons and examples as to why social media should be utilized in class (meet students where they are at, create an active classroom, develop a class and school community) and I contributed examples of how we integrate social media in the classroom at Burlington High School (also, I told an epic joke about a buffalos). Leading this was (for me) a thrilling way to have a discussion about the benefits (and possible distraction) of using Twitter, Blogger, and Youtube in the classroom. But this wasn’t just an opportunity for us to share our contributions to Classroom 2.0, we wanted continue the discussion beyond the 60 minute discussion. So, with that in mind we ended the discussion by assigning homework to the conference attendees (and now you!) to contribute lessons to help build an online resource. Teachers around the world are utilizing social media in amazing ways and our goal is to begin to bring their ideas together to share on a free site. The primary purpose of this site is to share and connect with people utilizing social media as a resource in the classroom. To help facilitate this process, we are requesting contributors answer a few questions add links to their content on this Google Form so that we can aggregate them for this site that can be accessed by anyone interested in using social media in the classroom. There’s a story about a wave that is nervous as he begins his descent into the beach until he realizes that he is not just a wave, he is part of an ocean. We look forward to people joining the ocean! Andy and I wrote about our idea in this post for Edutopia! The site that we are developing is The Educators’ Village and is currently under construction. We actively seeking contributors who want to help bring this idea into fruition. While we are collecting tech-integrated lesson plans, we are building a “tools” section that gives an overview of the tool, a video on getting started, and a few examples of lessons using the tool. So more in definitely coming soon! This entry was posted in Uncategorized and tagged EdCamp, education, PLN, Social Media, Teachers, Twitter. Bookmark the permalink. I’ve been calling this TEAM21 – Teachers for Educational Access to Media for 21st Century Learning. Last summer, in preparation for Banned Websites Awareness Day 2011 (It is scheduled for Oct. 3 2012 this year), I put together a list of New Canaan High School lessons that used mainstream social media – Bannedsites.info. There is a TEAM21 community at edWeb.net as well. I really enjoyed the resources comeing out of #edcampbos about social media in the class. I read a good list article of ways to use Twitter in the class, but my curation fails me right now. Our goal is to develop a searchable database of teacher-created lessons. So the 50 Ways to use Twitter/Blogger/Youtube isn’t really ideal for us.